Re-blogged from Editor Ian D Moore’s post. 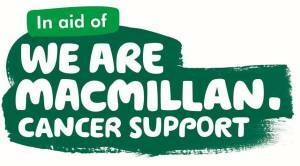 Please help to raise as much as possible through the sale of the book shown below to help those who need the support of the Macmillan Cancer Nurses. The Anthology will be available in paperback version shortly after the full release of the e.book which is scheduled for 11th July 2015. Please can you re-blog this post, tell your friends, utilize your Face Book contacts and let’s see how far around the world we can gather support. The anthology has already proved that the theme of relationships is woven into its very fabric, given that authors have contributed short stories based upon it from just about every corner of the globe. It represents the coming together of strangers to fight for a common cause, a cause that has no discrimination against gender, ethnicity, age or indeed, continents or state lines. It crosses oceans, mountain ranges, the most arid of deserts and the most inhospitable places on our planet. If there were ever a sinister underlying threat to humanity, cancer must surely be it. Your support in buying this book, reading and reviewing it when it comes out and more importantly, telling your friends to give it a go, will make all the difference. If just ONE person buys this from your recommendation, it’s one person making a difference to thousands of other people’s lives both now and in the future JUST by buying. 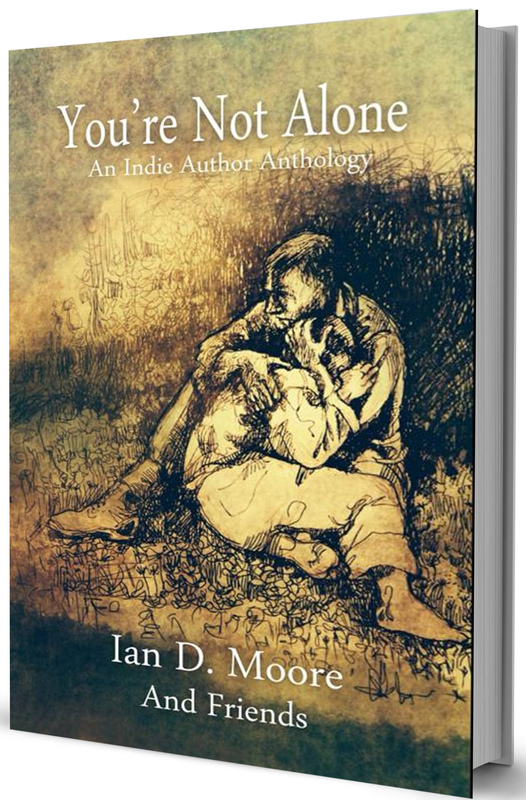 When the anthology goes public and live on 11th July 2015, it will have taken EXACTLY 100 days from the time that I (Ian D Moore) first asked which authors were willing to help, to the final e.book publication of 28 stories from around the world, written, edited, formatted, assembled and with an originally designed cover – complete with a legal entitlement and charity backing… how amazing is that? Twenty-Eight talented Indie Authors from around the world, each with a unique short story written for this anthology. If I remember correctly the e.book is priced at $2.99. and these are the links to the book. Back to the past where we left off with poor Queen Jane’s head being detached from her body. Very sad and not a little gruesome, but there was a lot of that around in those days, especially without refrigeration. Mary was a precocious child. In July 1520, when scarcely four and a half years old, she entertained a visiting French delegation with a performance on the virginals. (I must hastily add that is a type of harpsichord). It was all terribly confusing for her. First she was legitimate, then illegitimate and then legitimate again. She didn’t know if she was coming or going. 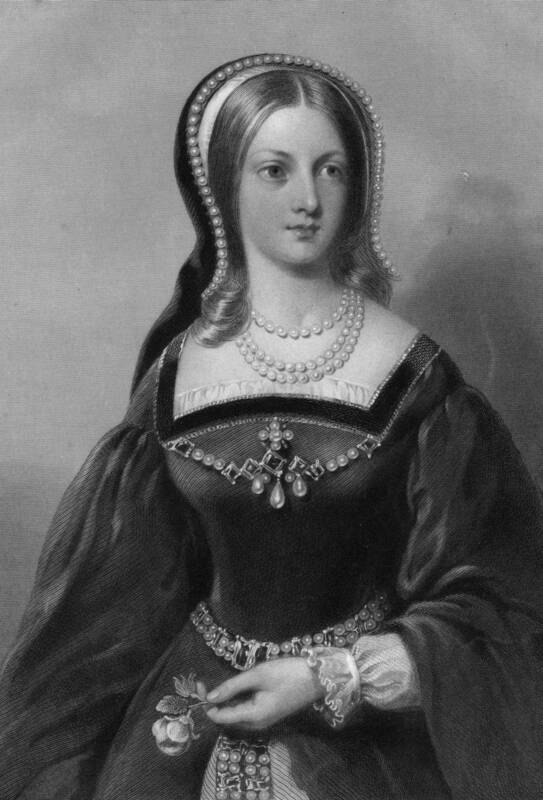 But come to London she did, when Jane was proclaimed Queen. 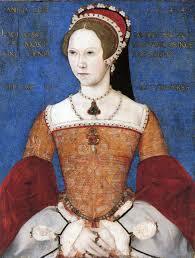 (A side note here, we do have to thank her father Henry for giving her a different name – note Mary I). 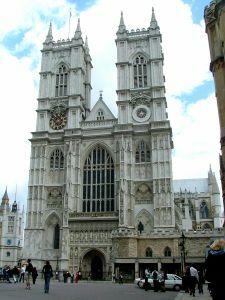 She was crowned in Westminster Abbey (I only added that as I have a nice pic of it). She had to wait until she was 37 years old before she got her paws on the crown and got to sit on the throne, which she discovered to her horror was not all that comfortable. So now all the people who were Protestants had to turn Catholic as that is what Mary wanted. If they didn’t she had their heads lopped off. “Time to have a baby, we need the usual heir and a spare,” she was heard to say, and that is where all the trouble began. Now this was always a difficult one for me to answer. Why? I could start with the writing bits, interviews and research and then the planning for pre-production, and directing on shoot, and helping to carry gear, and then sitting in on edit (I didn’t know how to twiddle all those little knobs), and then there was the still photography side and overall producing and making countless cups of coffee. I hope you get the general idea. Or we would have the following. (Interruption at this point to remind me of a wonderful programme with Soandso they had watched.). Sad look on other face, I have now shattered their dreams that their favourite presenter is not much more than a talking parrot and may not have the faintest idea about the topic before they begin to tell the nation at large all about it. Still that’s life I guess. However it wasn’t life for long for poor Jane. (Don’t you just love that smooth transition, which I’ve now spoiled by pointing it out). I’m practicing for the books I am going to write one day in real literature form, and I understand they must have beautiful prose and written so that no one can understand them – so the judges can be clever and mysterious pretending they do – understand them that is). We left Mary fast approaching the Tower with lots of men who she had picked up on the way. Most of them had been lounging around outside various pubs and frankly had nothing better to do. Luckily for Mary, Jane was already in the Tower and all her supporters had left. Jane hardly noticed that Mary was on her way, can you imagine how long it was taking her to clean a place that size? She had already gone through three crates of Handy Andy and she’d only done the Chapel and the Beauchamp Tower. To add insult to injury, Jane’s Daddy went and said he supported Queen Mary, and then poor Jane and her husband were locked up. Not together of course, as Mary did not approve of such goings on among prisoners, even if they were married. 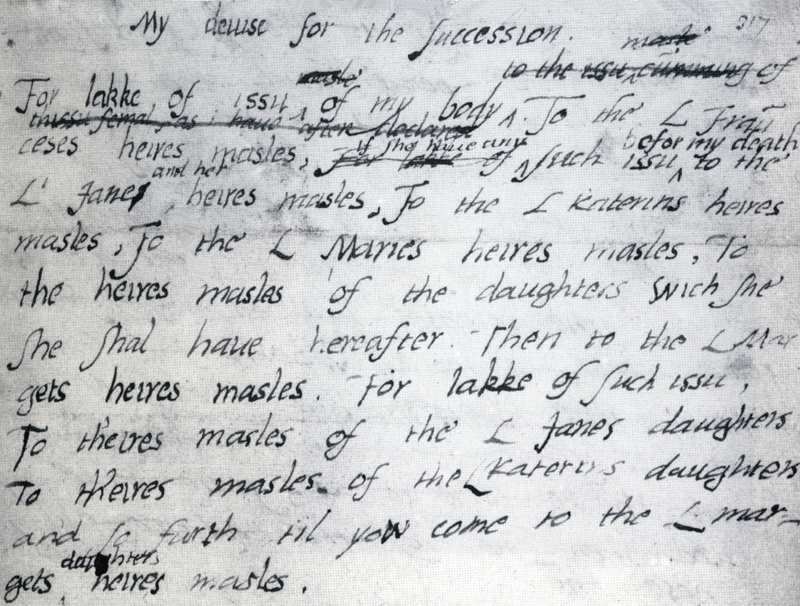 To cut a long story short, Jane was tried, found guilty and after a gloriously long reign of just nine days, when all she did was sign a couple of memos (they were very long in those days) she was condemned to death. and had her head chopped off.
. 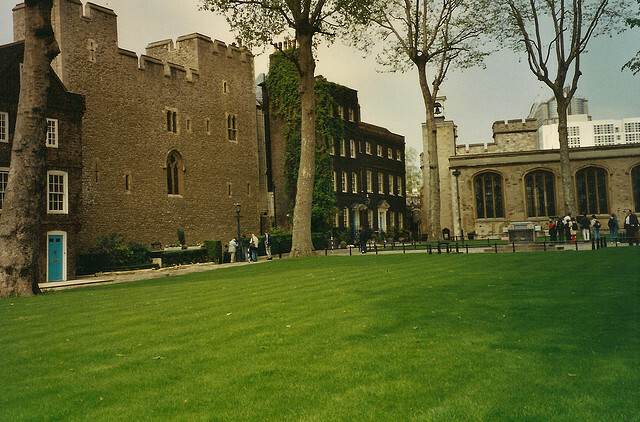 This picture shows the very nice lawn in the Tower of London, part of the green belt I believe. We were having breakfast quietly the other morning when DH looked up from his iPad and gave me the devastating news. I had NOT won the Booker Prize AGAIN this year. How they overlooked me I have no idea, but it appears that “Visionary” Hungarian writer Laszlo Krasznahorkai has been announced as the winner of the sixth Man Booker International Prize. Firstly if I was editing the above, I would have struck out the repetition of ‘sentences of incredible length’, and if the full stops were that far apart I would have added lots of extra ones in for him. A previous work by the same author was made into a seven hour film in black and white. (‘Game of Thrones’ must pale beside that). The judges added: “The Melancholy of Resistance, Satantango and Seiobo There Below are magnificent works of deep imagination and complex passions, in which the human comedy verges painfully on to transcendence.” (OK like to comment on what you think that means? Because I haven’t the faintest idea). So to all my writer friends, give up right now. We must be doing it all wrong. Forget the punctuation and start writing very, very, very long sentences in Hungarian if you want to get ahead and top the sales charts. 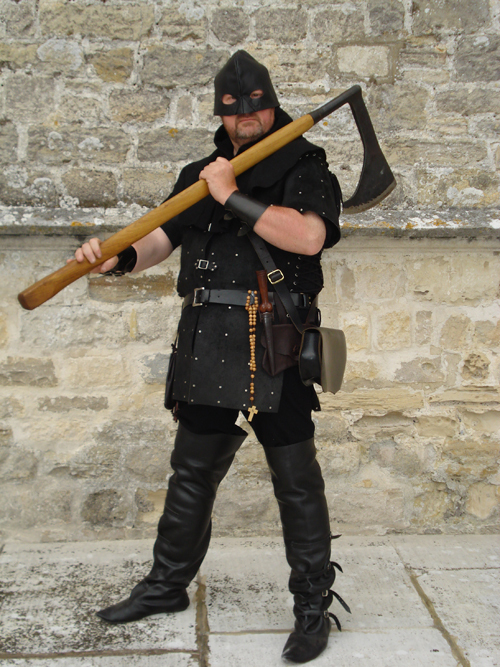 I have it on good authority that it costs thousands to enter the competition, and then you cough up another £15,000 if you get into the quarter finals and the same amount again if you are chosen for the semi finals – and we thing BookBub is expensive!! A reminder about MY competition. Winner gets a £10 / or $ equivalent gift voucher for Amazon, and a signed copy of ‘Truth, Lies and Propaganda’ posted to your door. All you have to do is find the money saving tip in the book (thus getting your money back on the cost of the book in a couple of weeks) – write a review and post it on Amazon and send the answer and a copy or link of the review to my email – and to make that easy for you, here it is: lucindaeclarke@gmail.com Closing date end of May. And here is the book cover, I understand it’s quite fun to read, with lots of laughs in it, all about filming out and about in South Africa. So where did we leave poor Queen Jane? Well she was quietly having tea one afternoon in Syon House when a crowd of men burst in and announced she was now the queen. What a surprise! Was she happy about this? No, she burst into tears. Then she knelt down and had a quick chat with God and agreed to go to the Tower (she really should have known better). Bands of armed guards were sent out in case there were disturbances, but mostly the crowds were silent, and hostile. 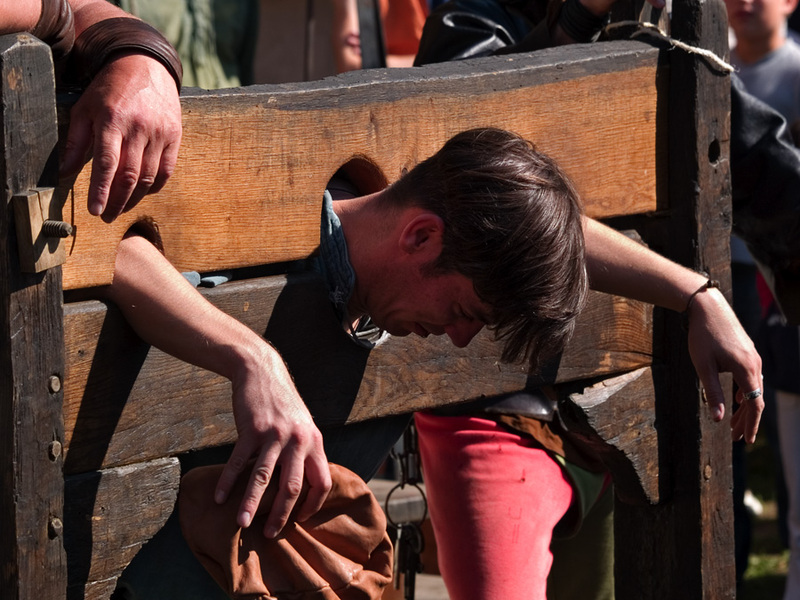 One young vintner’s boy cried out for Queen Mary and had his ears nailed to the pillory and afterwards cut off. Of course his parents immediately rushed off to their lawyers to sue the city, but their case was dismissed with costs, which sadly they couldn’t afford and so they possibly ended up in the Marshalsea debtor’s prison. Jane meanwhile continued to be miserable and it’s not surprising, as Mary wrote her a very rude letter saying she was not queen and Mary was. She upset her mother too, by refusing to name her husband as king – it looked as if she was going to be difficult. Some of her noble friends changed sides, and one even ran off with all the gold in the Tower, leaving Jane short of pocket money just when she’d planned to go to Sainsburys. Mary was marching on London, and Jane’s mummy and daddy went home, sure that Jane would be able to talk her way out of this rather tricky situation. 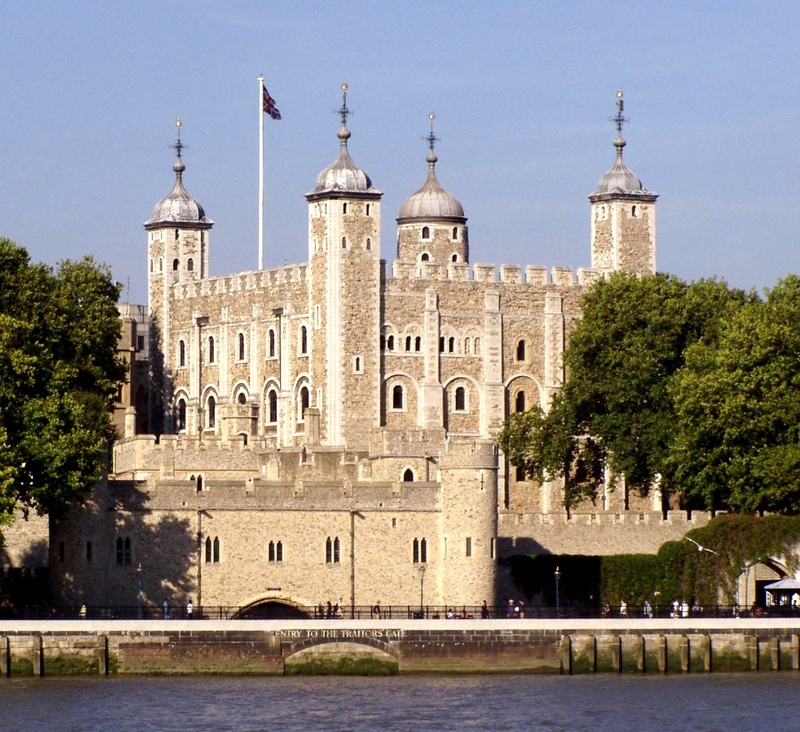 Maybe she wouldn’t notice that the Tower was almost deserted, since she was well into a great book she’d just downloaded from Amazon. The last 25 years of my working life was spent writing radio and television scripts about a number of different topics. I covered medicine, productivity, toothpaste, manufacturing telephones, photography, power stations, pollution at sea, and distance education, bakeries, banks, nation building, tourism, diets, meat, margarine, aluminium, marathons, birds, splitting the atom, HIV / AIDS, crime, what to do in an emergency, legal information, modern classical music, maths, English literature, top athletes, lifestyles, science, mining. LA21, health, education, roadworks, sewage systems, and so on and so on. They all had two aims in common, education and information. Why it was wise to brush your teeth, why it is unwise to prepare beer in unwashed chemical drums and the constant harping on about hand washing and hygiene. I wrapped up these messages in a variety of stories in a humorous and entertaining way. Despite the vast array of different subjects the messages were all straightforward – good, wholesome advice. After all this writing and producing I felt I had a secure understanding of how things worked and how they should be. Until, I started marketing my books. Now the world wasn’t black and white at all. I’ve learned that you can pay for clicks to ‘like’ your pages, and pay for reviews, and coerce important people into endorsing your brilliant tomes. Some of these actions are widely slated by some authors, but I know (from personal experience) that the big 5 publishers do very much the same thing, business lunch with arts editor of national paper, quick word in radio producer’s ear for a slot on Saturday afternoon? Glowing words from another best selling author in the same stable on back of dust jacket. And what are we to think of the recently exposed famous authors who are writing reviews on Amazon for their own books? So, is it all a matter of degree? And why is it acceptable to pay for a review from one company and but not from others? I’m still trying to get my head around all of this. However, I can safely say that the anthology of short compiled by Ian D Moore and written by a wide range of indie authors, is squeaky clean. It’s being put together with help from Lesley Skye in aid of the Macmillan nurses who care and support cancer patients. I will be telling you more about this is the coming weeks as it is not out yet, but when it is, please, please support this cause and buy a copy. Which brings me to Queen Jane (well it doesn’t really but I can’t think of a better transition this early on a Monday morning!) Next month I probably won’t even remember who Queen Jane is, but today I do, as I am giving a talk about her next week to our history group. What a sad life! She was related to the royal family, but she did not have a nice Mummy, who was totally teed off she only had 3 daughters. And you can’t begin to understand how important it was in those days to have a son. To start with only sons were allowed a free London travel pass, and they got a higher old age pension as well. As soon as Edward was born, Mummy decided he would make an excellent match for her eldest daughter Jane. Sadly, Henry VIII had other ideas, so that idea went down the drain. Poor little Jane was ruthlessly educated learning Latin, French, Spanish, Italian and Greek which i’m sure proved practically useless for wining, dining and hunting at court. And this at a time when it was illegal for women to read the Bible! 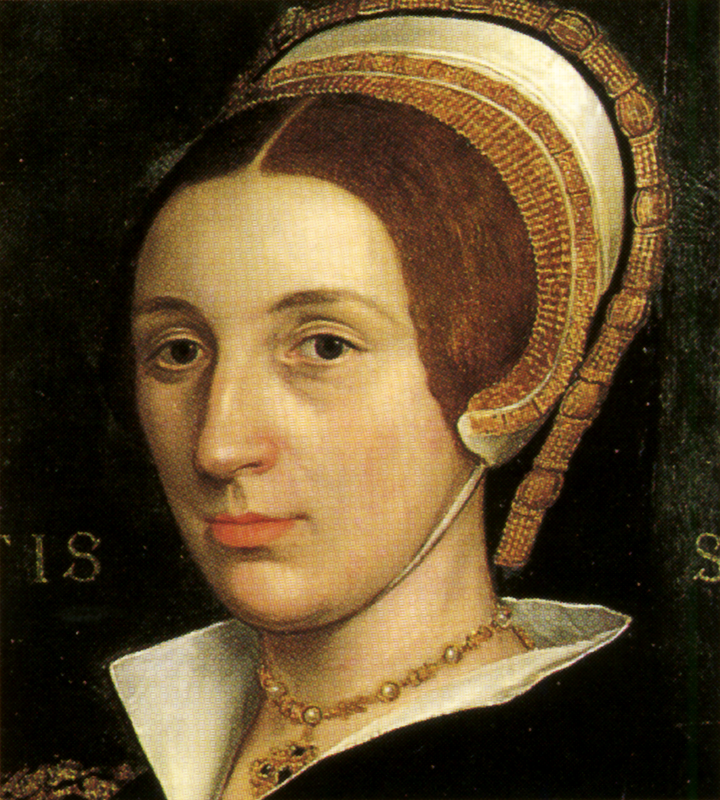 Jane was then sold to Sir Thomas Seymour for £2,000, with the idea that he would get her married off to King Edward. The sale was on the HP (hire purchase). It was £500 down payment, another £500 on betrothal and the last half when they got married. But Thomas did not come up with the goods, and was arrested and thrown into the tower and had his head chopped off for tying to kidnap the King. Even then that sort of thing was not encouraged. Her mother thought Jane a boring, pedantic child, always on her knees praying. Mummy wanted her out there charming the king. 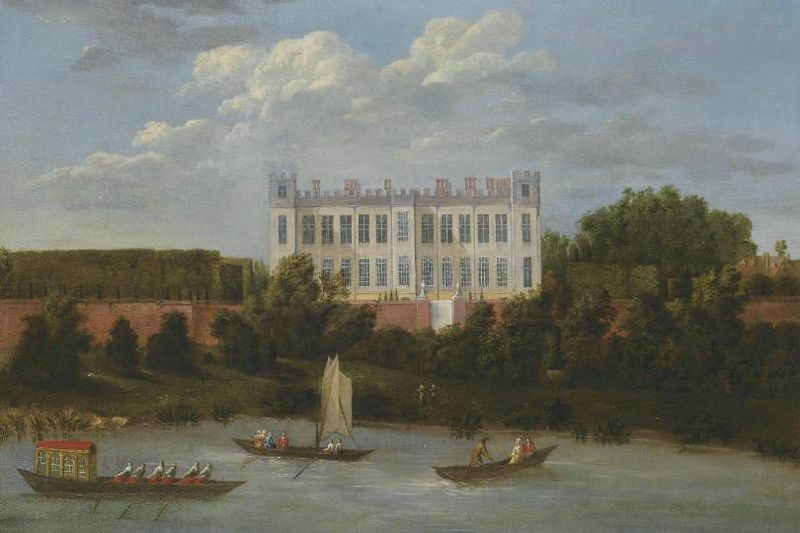 However, that was not going to happen now, the king was ill so poor Jane was married off to Guilford, the youngest son of the Duke of Northumberland as he was powerful and close to the king. And then Edward died leaving … (cliffhanger ending here). I’m beginning to feel like a guinea pig running round and round endlessly on a little plastic wheel, round and round and round. I can see blog days and publication days and promo days stretching on and on and on into the future. I see millions of Face Book posts and review reading and review writing and twittering and tweeting and re-tweeting and web page updating floating before my eyes to eternity. And I’m not yet into Tumbler, and Pinterest and whatever else they might invent in the future. I see endless lists reminding me to email back, thank people, hundreds of emails to clear, fretting when I have to stop to go shopping, cook, clean, wash clothes or do the ironing. I see myself pacing up and down, up and down, up and down the terrace working out plots, and fitting the pieces together, working out reasons why, and how and when. What a miserable life right? Yes and no. I couldn’t stop writing, even if I tried, I get withdrawal symptoms and having written something I desperately want to share it with millions of people. And yes, the royalty checks are nice too (till the tax man notices). But then a review drops into the box, or an email from a reader who says…. And suddenly, it is all worth it and it’s the only thing in the world I want to do. Which brings me to Edward the something or other and what he wanted to do. Apparently all those stories about him being a sickly child are quite wrong, (I can only suppose someone found his NHS records). He was in fact ‘of rude health’. I don’t think this means he didn’t have any manners. 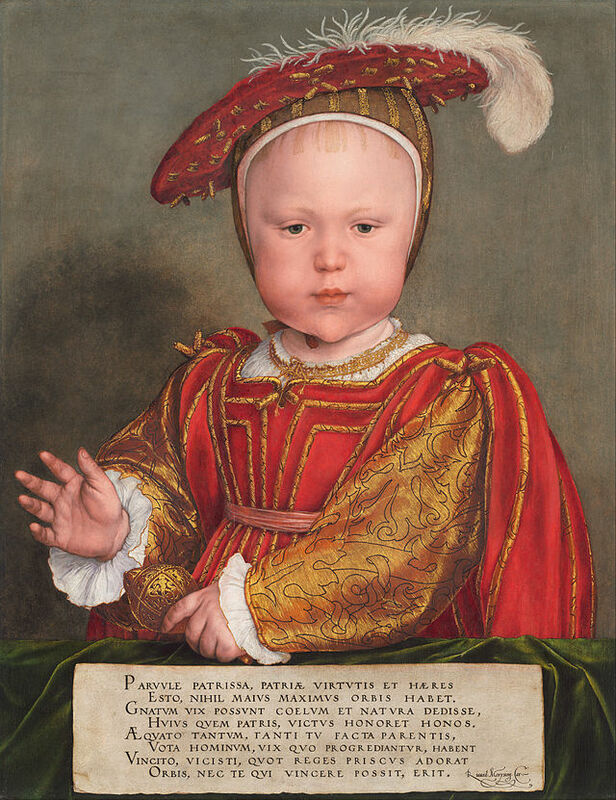 Here is Edward’s favourite baby photograph by Hands Wholebin. Daddy betrothed him to a seven month old baby. Luckily that was cancelled as he didn’t think the marriage would be all that much fun. He thought it might be difficult for her to walk up the aisle on her wedding day, as she wasn’t even crawling yet and that would not look too dignified for a royal wedding would it? (I think he forget they could get into the Guinness Book of Records with that one, thus immortalizing him forever). Anyway as I have already mentioned, Daddy had blown up and Edward was crowned only a few days after Daddy died. He was 9 years old and they cut the coronation short as he wanted to get back to his school work and dancing lessons. As predicted there was lots of jostling for power in his cabinet and then he got sick. Who was going to come next? Daddy had written it should be Mary, but Edward had other ideas and he was the king now wasn’t he? So as he lay dying, he wrote out a long letter full of scratching-out bits on it and said that he wanted his cousin Jane to come next. Now personally, for a fifteen year old, I don’t think he writes particularly well. He’d never have passed his 11+ with handwriting like that. Some people thought this was a good idea and some thought it was bad. England waited with bated breath to see what was going to happen. I’ll tell you on Monday. When I published my first book in 2013 I had no idea what was involved. Of course we uploaded all the files, and made a cover and I wrote up my bio on my Amazon author page and then sat and waited and waited and waited and, nothing happened. Well that’s not quite true, I told a few friends I had self-published a book (pitying looks as it obviously wasn’t good enough to be accepted by a publisher) and in 12 months I sold 22 copies, plus the few paperbacks I’d bought to sell and stack on my shelf so I could pretend I was a novelist. But I was keen to get the word out about personality disorders, so I contacted an author who had thoughtfully put his links in the back of his book. Enter the world of Facebook, blogs, web pages, Goodreads et al. Previously I had always sneered at FB. Did I really want to tell 749 people I had just had breakfast, or I’d just replaced my underwear? No, I wasn’t into all that. I had a lot to learn. What started out as a marketing exercise, has resulted in making some really great online friends who have the same goals and interests – selling books, making our books better, finding ways of promoting them and meeting new readers. The only downside to FB are the invitations for me to ‘get up close and personal’ with a variety of young men who think I look simply gorgeous in my picture (they need to go to SpecSavers). Despite me telling them I am old, retired, wrinkly and past it, some of them are very persistent. Then I have to get really tough, and ask if they are prepared to pay for me to fly to Florida / Alaska / Kurdistan / Morocco etc and does that include my family of 16 who can’t bear to be parted from me, and do they supply a good quality brand of incontinence pants in their part of the world – if desperate by now, that last one ALWAYS works. I hate to be rude to anyone, but FB for me is not a dating agency, and I horribly neglect my personal page, I rarely visit it. I owe many people on there an apology. Time to go back in history, and I left you with an exploding Henry – so sad really. The story goes that some monk, was a little annoyed that Henry had knocked down his monastery and cursed him, saying the dogs would lick his blood (presumably after he died). I’m not sure if it was a case of exploding coffins, but something similar happened. However it was all hushed up under a “D” notice and they refused to allow the TV cameras into Sion chapel where the event occurred. Sadly we will never know the details but at the age of 55 after all that food, all those wives, and all that demolition work, finally fat Henry was no more. He left behind one sickly 9 year old boy called Edward (yet another Edward). He looks a lot older in this picture, but they insisted on putting lots of make up on him. Henry had nominated a council of 16 people to rule for Edward, led by his uncle, so you can imagine the punch ups they had. 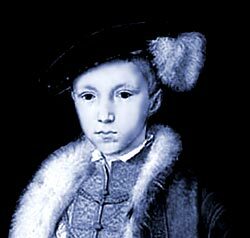 Edward VI was more interested in religion and forced everyone to become Protestant. He wanted to get rid of all the Catholics. 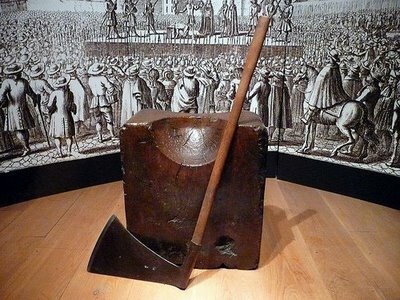 This was to allow Bloody Mary who came later, to put all the Protestants to death for not being Roman Catholic. 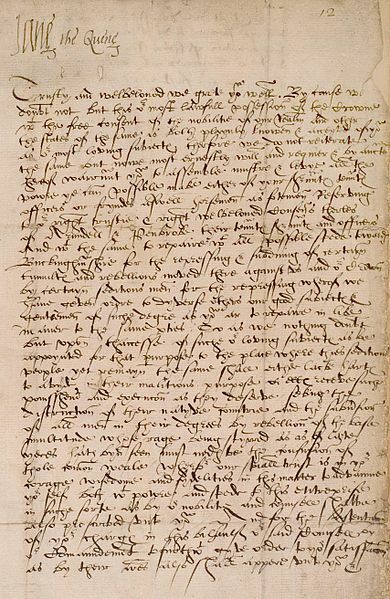 This is the first recorded English Population Control Act. And yes, Bloody Mary comes next! For me it’s been a roller coaster of a week. On my last blog, I thanked Tom Benson for setting up my new web page (do pop and have a look) http://lucindaeclarkeauthor.com and today another HUGE thank you to Margaret Eleanor Leigh for talking me through getting to grips with Twitter. I have finally unpinned a post which is horribly out of date, and I know what a pinned post is now! (Yes, I know it is sad). So I’ve taken another leap forward and kept my one brain cell active. Next up is the competition to win a signed paperback copy of any of my books sent anywhere in the world. Rules: Buy a copy of Truth, Lies and Propaganda, which is on a Kindle Countdown at £0.99 / $0.99 until Sunday night (10th). Find the money saving tip, write a review on Amazon and email me with your answers on lucindaeclarke@gmail.com It’s as simple as that. You may also enjoy the read at the same time! 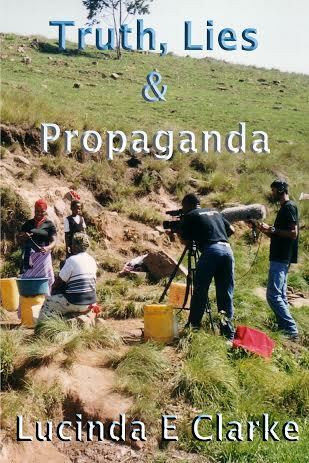 It lifts the lid on what goes on behind the media and after reading it you will look at television programmes with a new perspective. For most of this week, TLP has had a #1 bestseller sticker on Amazon.com and Amie has one too on Amazon.co.uk. 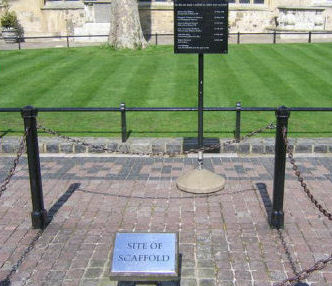 For a couple of brief hours they had one each, side by side on the British site. Thank you to everyone who has bought, and I hope you enjoy reading them. Now that is quite enough of me, I know you are really waiting to hear more about Henry. I’ve given him extra time, as he is my favourite king. 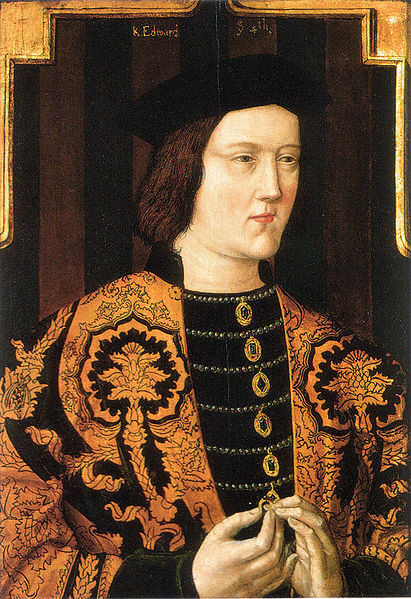 He is just SO misunderstood, all he wanted was a son, and all around him the peasants were popping them out like peas. Just think, Daddy fought a war to grab the throne and now he would be turning in his grave if his younger son (the elder one was already pushing up the daisies) was so careless to lose the throne in one generation after all that effort. So, it was on to wife number five, maybe she would produce the goods? Keeping to tradition, she was also named Catherine, and he was hopeful she would be fertile, as her mother had had 5 children by her first marriage, now that was an excellent track record in those days. It’s doubtful though if anyone had had the courage to whisper it was said she’s already been ‘at it’ at the age of 13 with her music teacher. She continued with her wild, abandoned life, and to make her behave she was sent to court. (What were they thinking of? That was tantamount to open season for a life of (insert rude word of your choice here). 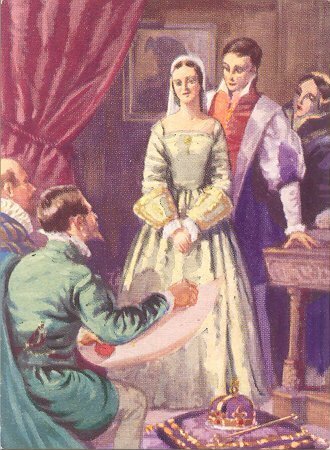 Henry seemed quite oblivious to all this, and he married her but the poor lass only lasted less than two tears before Henry had had enough he’d heard too many stories of what she’d been up to, so he had her head chopped off, along with most of her relatives as well, just to teach them to behave in the future. But Henry did not give up, he would try AGAIN. 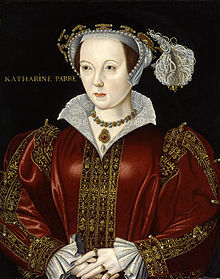 His victim this time was Catherine Parr. 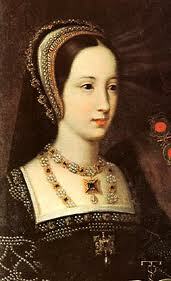 Henry was her third husband, so she was probably not a virgin when she became queen. 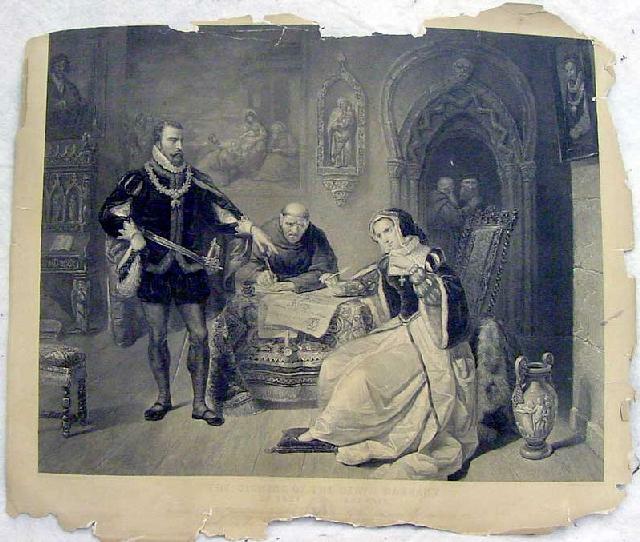 She was good for Henry’s other two children, as they were both girls and so unimportant, but she persuaded Henry, in a weak moment, to agree they could take the throne in case his heir Edward wasn’t too keen on the job. Rumours were flying around he’d set his heart on a career as a steward with British Airways. Here she is. 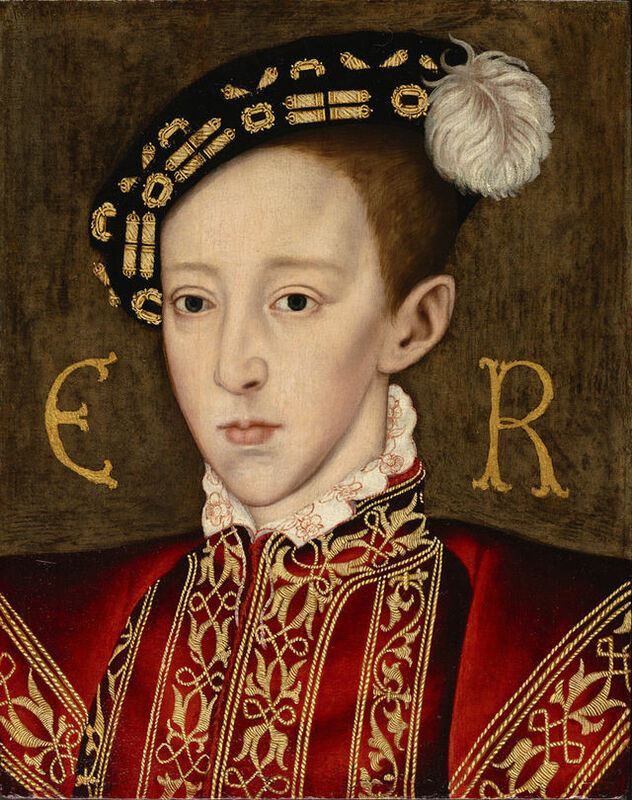 Now it’s possible that she might have ended up on the block as well, as she didn’t get pregnant quickly either, but by now Henry was thoroughly fed up so finally he swelled up, exploded, and died leaving the throne to…. (cliffhanger ending).